Dancing on Ice returns to our screens next weekend – we can’t wait to see how this year’s bunch of celebrities fare in the rink. 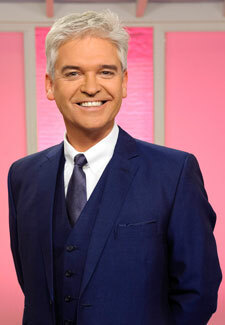 And host Phillip Schofield has revealed who he’d like to see take to the ice. We’re not sure she’d be up for it at the moment, Phil! He adds, ‘You can’t underestimate how difficult Dancing On Ice is for the contestants. ‘It is a gruelling schedule, then there is the ever-present possibility you’ll smash your teeth in.